Are you a weekend yard warrior who needs help coming up with landscape ideas to turn your yard from an unsightly mess into a sight to behold? Here are five landscape ideas to help you create a beautiful yard, even if you have a brown thumb. A good place to begin gathering landscape ideas is to go to the street and look at your front yard and those of your neighbors. Ask yourself about what you see in your yard and the yards on both sides of your house, said Ellen Bauske, program coordinator at the Center for Urban Agriculture at the University of Georgia's (UGA) Griffin campus: "Which one has the tidiest yard? The yard that looks tidy will be the one you will want to emulate ... or improve upon." A guiding principle to keep in mind as you study the yards around you is to match those models with your skill level and time commitment. One way to begin creating a fresh look that will change the appearance of your landscape without going to a lot of expense is to place a bench or chair on the porch or in an area near the front door, Bauske advised. For maximum effect, she said to "Be sure to angle it so it points toward the door." Nothing says "Welcome!" more effectively than an outdoor bench or chair that invites people to stop and stay for a bit. Another quick, easy and inexpensive landscape idea that Bauske said will add color and increase visual interest to your yard is a pot of flowers. Like the chair or bench, she said you should place the pot on or near the front porch. "Choose the largest pot that will fit the space and your budget, " she urged. "Large pots not only make a visual impact, but they require less frequent watering than smaller pots." Better yet, with the pressures of today's today’s time-pressed lifestyles, pots are far easier to maintain than flower beds, especially if you can find a pot with a compartment for water that will wick water up into the potting soil. Many garden centers will even pot a planter for you if you purchase the plants from their inventory. If you're a busy professional with little time for yard work, a tidy lawn makes a big impact, Bauske said. That's because grass is much easier and less time-consuming to care for than trying to plan, plant and maintain flower beds, she pointed out. The key to having an attractive lawn is to keep the grass short and tidy, especially if your lawn is a mixture of grasses and weeds. Keep in mind that neat and tidy doesn't mean the lawn needs to look like the putting green of a golf course or a manicured professional baseball field ... unless you want it to. After all, many a homeowner has adopted the perspective that even weeds can look good if you keep them mowed. "A general rule of thumb is to mow the lawn often enough that you only remove a third of the blade height at each mowing, " said Kerry Smith, a home grounds team co-coordinator and state master gardener program coordinator for the Alabama Cooperative Extension System. "Most turf is happiest [when] kept under two inches of blade height, " added Smith, who is based at Auburn University. "St. Augustine is the exception and can be allowed to grow slightly taller." Develop a lawn care program based on the type of grass you have and the region of the country where you live. A lawn care program for the most popular turf grasses can be found at UGA's turf grass website. "These calendars are adapted for Georgia's climate but could be widened to the Southeastern U.S., " said Clint Waltz, an extension turf grass specialist at UGA in Athens, Georgia. Implementing a year-round regimen for maintaining your lawn will greatly reduce the amount of weeds and, hopefully, eliminate them altogether. If you're uncertain of the type of grass or grasses in your lawn, dig out a sample of the dominant grass (entire plants, roots and shoots), place it in a sealed plastic baggie and send or take the sample to your local county extension agent. To find the extension agent nearest you, do an internet search using the key words "cooperative extension." Don't be overly concerned if you have a mixture of grasses in your lawn, Bauske said. "Lots of people have more than one grass, " she added. Chose the lawn care program based on the predominant grass. Another landscape idea for lawn care is don't be hesitant about hiring a professional. Depending on your goals and budget, you can hire companies that will lay sod (think instant lawn!) and apply the growing-season fertilizers as well as do the mowing. Whether you are choosing plants for a pot or in-ground beds, be aware that the many varieties you can choose from are not created equal, said Smith. Seek those that are resistant to problems associated with drought, disease and pests, she advised. The staff at your local gardening center can help you make smart choices for plants that are hardy in your region. If you are ambitious and are going to create new beds for trees and shrubs or perennials or enhance existing ones, remember that the best landscape ideas include a design that leaves a clear view of the front door, Bauske said. Remember, also, that the most successful landscape ideas often start off small. Don't bite off more than you can chew (or plant and take care of!). 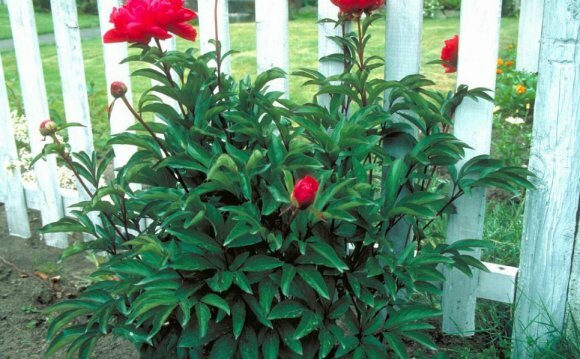 If your goal is to create flowering borders, here are some recommendations for plants of steel for sunny areas that will work especially well in the Southeast. Roses: Drift and Knockout roses are both resistant to black spot, the scourge of people who love roses but find them difficult to grow. Grasses and grass-like plants: Panicum virginicum Shenandoah, fountain grass, pampas grass, carexes and sedges. The latter two stay small and can be used to fill in gaps between perennials. They are also evergreen and will keep garden areas from being bare during winter when flowers are dormant. If you have a shady yard, here are some recommendations for plants of steel for shade or areas with filtered light. There are many people who believe that home improvements are all about spending a lot of time and spending a lot of money. Nevertheless, there are some ways that will help you to improve your home without a need to break the bank or spending nights working. DIY home projects can become your solution. Though DIY home improvement ideas can be hard to find, you will come up with something if you use your creativity.